Gangsterism Out : "Selling Fentanyl is selling death by a different name"
"Selling Fentanyl is selling death by a different name"
Luis Manuel Charchabal, 53, is behind bars after Miami-Dade police found him in possession of 2.5 kilograms of heroin and Fentanyl. His arrest is the result of a long-term narcotics investigation. Charchabal is a convicted felon and was booked into the Miami-Dade County jail. He is being charged with three counts of illegal trafficking in heroin and three counts of possession of Fentanyl with intent to deliver. Fentanyl is Florida's biggest killer. 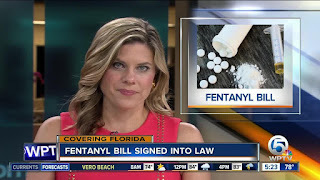 More people died in Florida from a fentantyl overdose during the first half of 2016 than ever before. Fentanyl killed more than 700 people between January and June 2016 — nearly the same as it did in all of 2015. Fentanyl killed more people than any other drug, and almost twice as many as heroin.